Carol is the embodiment of the values, commitment to quality and service and integrity that the AASP stands and is known for. The AASP is not the result of a government mandate or industry decision but the realization of Carol’s vision. The vision of assisting organizations from all industries and of all sizes in Alberta in their journey to achieving and maintain a COR or SECOR. But, more so, to ensure that journey is as pleasant and efficient as possible by delivering innovative, best-in-class and customer centric products and services. In addition, Carol has set the bar high to ensure the value and credibility of a COR to the members of the AASP. Therefore, auditing with honesty and integrity in mind, was and remains a passion of Carol’s which is passed on to all auditors listed with the AASP. Carol has dedicated over two decades of her life to health and safety in Alberta and most of that time via the AASP. In 2014 Carol was acknowledged by government, industry and by her peers when she received the Work Safe Alberta Individual Achievement Award. For her health and safety is not a career it is a calling and she invites you to join the AASP family of organizations passionate and committed to health and safety in Alberta. Carol has always been an advocate of safe work environments. Her belief centers around “do things right because it is the right thing to do” not only if the law says you must. Carol believes safety affects everyone, not just at work, but also when we are at play, at our homes. 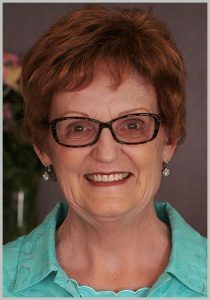 Carol was the volunteer Project Manager for the Taber Chamber of Commerce community based Partnerships Initiative Program in 1995 under the guidance and cooperation of Alberta Labour, Occupational Health and Safety and the Workers’ Compensation Board. The first training of the program, January 1996, the group started with thirty-two companies and has grew each year. In May of 1999 the community based group incorporated under the Society Act as an association, presented a Quality Assurance package to the Partnerships Team which resulted in acquiring the status of Certifying Partner with Alberta Employment and Immigration, Workplace Partnerships. Carol was and remains the key person in the development and maintenance of the quality assurance system and continues to lead the Association as CEO/Founder. The Association has grown to approx. 3000 members from various industry, throughout Alberta. Carol continues to travel throughout the province providing support for the members, auditor updates and attends meetings for the Association. Currently sits on numerous Partnerships Sub-Committees. Carol achieved her Auditor Certification from SAIT in 1996, and her Certified Health and Safety Consultant designation in 1998. Carol assembled an auditor training certification course, based on Partnerships Standard that has been the foundation for teaching and certifying auditors, both internal and external. In February 2011 Carol authored a book, Fundamentals of Health and Safety Auditing; An Auditor’s Handi-Guide. Carol has just completed a second book, Health and Safety Auditing, Interpretation Guide. This book is based on the new Partnerships audit mandatory as of January 1, 2019. As well, Carol was instrumental in the development and design of the electronic audit tool in partnership with eCompliance. Auditing with honesty and integrity in mind, was a passion of Carol’s for many years and she expects nothing less from the auditors with AASP.